Tracie Nicole Designs has unique handcrafted items including high quality sterling silver, fine silver, genuine precious & semi-precious stones, charms, vintage buttons. I know many of you love jewelry so I am excited to show you some of the pieces that this shop has to offer. 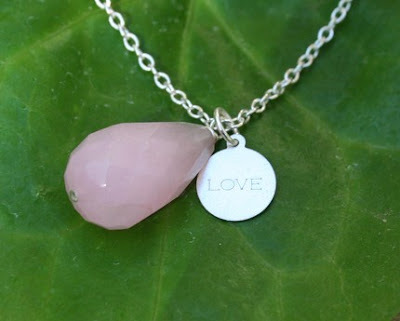 Here’s the Pink Jade and Love Pendant Necklace. I have never heard of Pink Jade before but it looks like a really pretty stone. Check out the colour of this one! Love the deep purple! 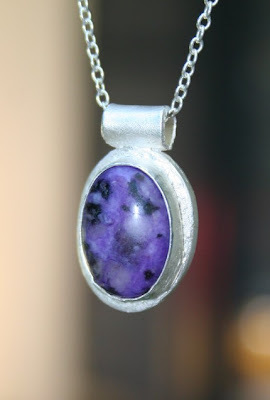 It’s called Fine Silver Purple Pendant Necklace. My shop is called Tracie Nicole Designs and I sell unique handcrafted items featuring high quality sterling silver, fine silver, genuine precious & semi-precious stones, charms, upcycled vintage buttons and more at an affordable price. This is a part-time business that I have been doing for years, but it was not until I discovered Etsy that I started selling on line a little over 1 year ago. 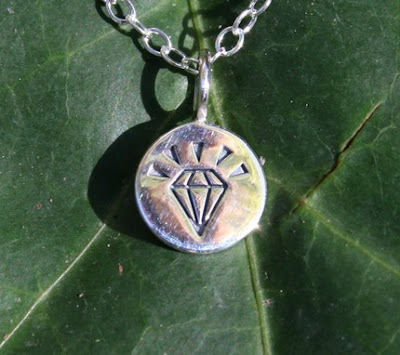 Tracie Nicole Designs would like to offer one of my readers a chance to win A New Kind of Diamond Pendant Necklace.